I’ve been thinking about what Ann Peterson said during oral arguments, how the defense was thwarted again and again at trial and how no one seemed interested in getting to the Truth. I thought it might be interesting to create a list of all the obstacles faced along the way, beginning long before the trial ever started. The computer evidence was allegedly found by investigators in 10/08. Several months went by and the defense still didn’t have a copy of the hard drive. When they asked Agent Johnson in May ’09 if he was finished with it, he told Brad’s attorneys that they could pick up the hard drive that afternoon. Hours later Detective Daniels contacted his attorneys and informed them that ADA Cummings would not approve the release of the hard drive. No reason was given, no timing was given. Agent Johnson testified that he told the Cary Police Department to 3rd party verify the search. This could have been verified with Google OR by looking at Cisco’s servers since the alleged search occurred at the Cisco office; neither were done, even though it’s known that all searches must be verified if they’re to hold any weight. Then the State submitted an affidavit from FBI Agent Durie to the court. The affidavit basically stated that the FBI’s procedures if shared with anyone could jeopardize the national security of the United States because they could fall into the wrong hands. This is unprecedented but Judge Gessner accepted it and the defense not only were forbidden to receive the procedures used and the FBI’s notes, they were not even given a copy of the data, or the Master File Table as it’s called. Please read this post for more details. The Cary police did not have to hire the FBI to investigate the computer. They could have used their own forensic experts OR they could have used the State Bureau of Investigation OR they could have hired a private firm. They chose the only option that allowed them to avoid sharing discovery … on the only evidence that implicated Brad. Since the Defense didn’t have this discovery, they did the best they could. 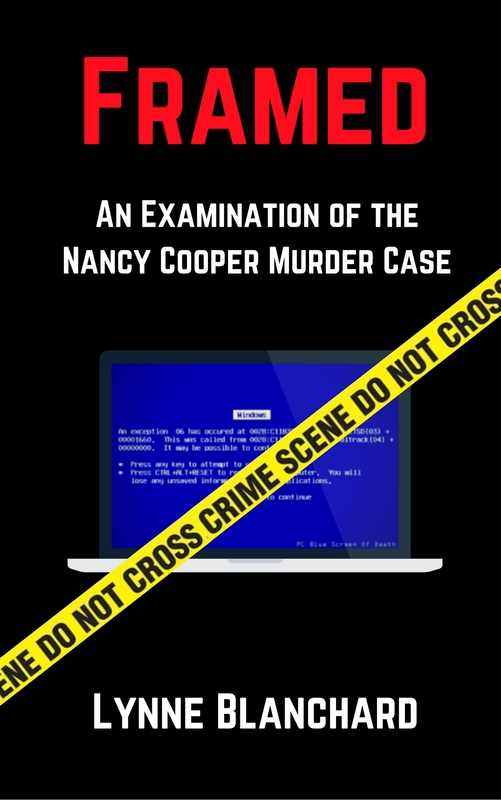 Their expert (Jay Ward) had to guess which forensic tools the FBI may have used so that he could extract the files from the hard drive and do the best he could to duplicate exactly what the FBI had done. As it turned out, the number of files Jay got precisely matched those of the FBI so clearly he did the extraction correctly. This was a key subject of the appeal – whether or not Ward was qualified to extract the files since he didn’t have a “forensic” certificate. What I’ll say is that he wouldn’t have needed to extract them if the State had provided the proper discovery in the first place, or he certainly wouldn’t have had to guess which tools were used. But the fact that his data matched the FBI’s should have negated any concerns about his qualifications to extract the files. But that was not the case – this would turn out to be a huge obstacle to the defense case as Judge Gessner refused to allow Ward to testify about anything he found on Brad’s computer. The Defense finally received a copy of the master file table during the trial and was hoping to question Jay about the FBI’s files since the judge wouldn’t let him testify about his own. No. The judge said he wasn’t qualified because he wasn’t a “forensic” analyst, never mind the fact that Ward does this work routinely, far more often than any of the State experts who testified. Believe it or not, there’s more. The defense had one more shot to prove that Brad did not do the Google search that they alleged – the search of Fielding Drive at 1:14PM the day before Nancy disappeared. Howard Kurtz called Agent Johnson to the stand and questioned him about the cursor files. The cursor files showed identical time stamps which should have been impossible. The judge first refused to allow the defense to see Agent Johnson’s cursor file data when he duplicated the search, stating it could jeopardize national security, and then he refused to allow a test to be conducted right then and there in the court room to answer the question once and for all. Imagine what Brad must have been thinking while all of this was happening … it’s painful to imagine. After all that, another expert contacted Brad’s attorneys after watching this debacle and volunteered his time to help with the case. Giovanni Masucci was a forensic analyst so he had the title the judge was demanding. Guess what? He was barred from testifying because he wasn’t on the original witness list and the State said they wouldn’t have enough time to prepare to cross examine him…even though he completely concurred with Jay Ward’s findings in his report. There would have been no surprises. If after all of that anyone still doubts the lengths that the prosecutors and judge went through to prevent the truth from getting out, then nothing will convince them. It is astounding and a complete obstruction of justice. There were many more obstacles thrown out there aside from the computer evidence but I wanted to focus on this for now because it was the only evidence that linked Brad to the murder. All of the other “mountains of circumstantial evidence” was 100% refuted at trial. Every single bit of it. And we know from the jury foreman that Brad was convicted based on the Google search. I hope this gives you a better understanding of what went on here and how unfair it all was. I hope and pray they give a new trial.if anybody out there deserves a new trial is Brad Cooper. His last trial he got so railroaded that it’s not even funny.. Everybody needs to pray for a new trial for Brad Cooper. Why don’t you put any dates on your postings? This case is 5 yrs old and it’s hard to keep track of everything. Every post does have a date. It’s on top left.